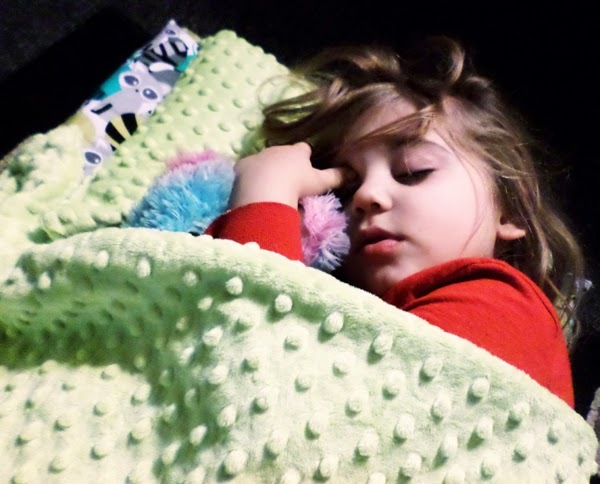 We, at Mom's Gone Bronson, would like to bring you the Janiebee Nap Mat, which is listed in this years Holiday Gift Guide (#MGBHGG), and will make such a great present for any of your little nappers! As one of my all-time favorite items, there is no way you can't just instantly love these nap mats - and we now have, TWO because we really do love these, THAT much - and my children use them EVERY DAY! 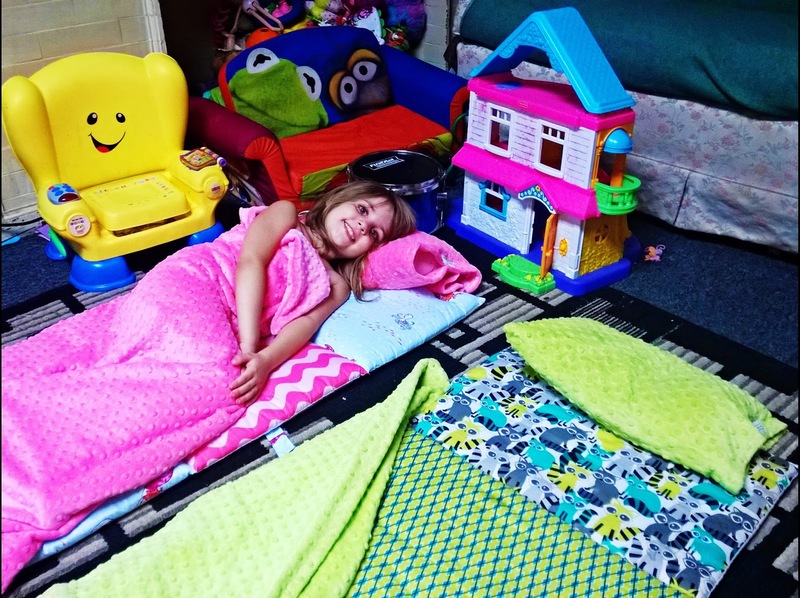 My children are the kind of children who don't like to take regimented naps, but who do love to be cozy and comfortable and so when these nap mats came into their lives, they started to take more naps, more willingly and they love the colors and patterns on their own nap mat! My son, Bronson, now has the nap mat that we got from Janiebee last year, and it is green with racoons on it! It is the cutest thing and suits him to a tee! 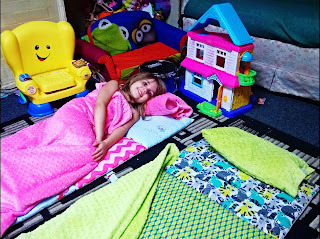 THIS YEAR, my daughter, Autumn, has the pink and colorful Mermaid nap mat, which is a NEW design at www.janiebee.com, which she picked out for herself from a long list of wonderful other great designs, where you will find something for everyone! With a built in pillow, these are the best-made nap mats in my personal opinion! They measure 20"- 21" across and are 53"- 55" long, with Minky Brand dimpled blankets sewn onto, and firmly attached for convenience and is fully machine washable, which makes everything so much easier to keep clean and comfortable for your child! Nap times have been so much easier since we got these nap mats - now, the kids want to go to sleep for a while, they look and feel snug as a bug and they are well rested throughout the day! We can take these anywhere with us and they get their full-use and live up to their potential! I can't stop gushing about them and have to show everyone when they come over for a visit, and I absolutely had to share them with you! That's right! Janiebee Quilted Nap Mats want YOU to experience the softness, and provide your little'n's with a great nap spot, with ONE NAP MAT of your choice, where available (valued at $119), straight from Janiebee.com! In order to be in with a chance to win, all you have to do is enter the rafflecopter, below and tweet daily for extra entries! You must reside in the U.S.A and you should provide us with a valid email address so that we can contact you, if you win! We never use your emails for anything other than to contact you as a winner. We never sell or use your emails to solicit or for any other reason, what-so-ever. What are you waiting for!? Enter, below, and then visit the Thanksgiving Blessings Giveaway Hop, too, for more great prizes! Keep an eye on our Twitter hashtag #MGBHGG for our gifting suggestions over the season, too! Don't forget to check out Janiebee Quilted Nap Mats on Twitter, for all the latest news! GOOD LUCK, and HAPPY NAPPING!! This giveaway is hosted by us, Mom's Gone Bronson, with prize fulfilment by Janiebee Quilted Nap Mats, as part of a Giveaway Hop hosted by Planet Weidknecht and LeahSay's Views, to whom we say, THANK YOU! 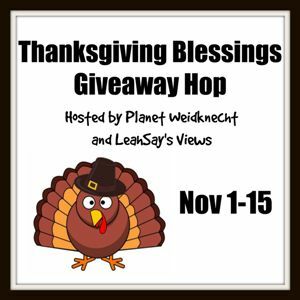 From now, until November 15th, you are able to enter our giveaway, above, and then hop on around with other participating bloggers, to enter for more, fun and fabulous prizes, in this Thanksgiving Blessings Giveaway Hop! Disclaimer: I was provided with a nap mat for review, but was not otherwise monetarily compensated for any of my views, which are open and honest and my own. Your views may differ. Mom's Gone Bronson is not responsible for prize fulfilment. Thank you! I would love the Rocket Glow in the Dark One of a Kind for my son!I have one of these mats for my daughter and they both love it! I love the superhero one! I really like the Maisie design sleeping mat. I love the Reese's Mat design! So pretty, my daughter would love it! My favorite is the It's a ZOO BOY pattern. I LOVE the airplanes design! I love the shark print!! So cute!! I think my kids would love it! I like the Mermaids/Ariel design, My granddaughter would love this. Would love to get the Hollywood Glitter for my grand niece. So pretty. I love the catching fireflies print - it's so gorgeous! I love the Ready for Football One of a Kind print. My son would love love love it! I love the madras pattern! It's neutral and pretty! I like the Aqua Dragonfly print best. I love the Super Heros One of a Kind! The super heros one of a kind would be great. My favorite is the It's A Zoo Two pattern. Thanks. I like the It's a Zoo TWO nap mat. I am a fan of the basic gray with the black. I have to say I like the Super Heroes One of a Kind pattern. So cute and I have 2 grand sons that would love it. I actually like the Basic Gray pattern the best. Simple and cute!